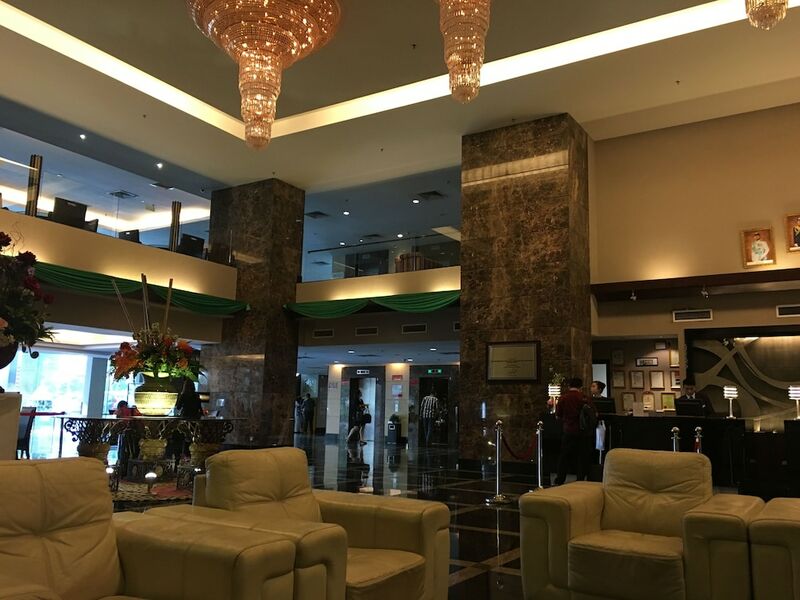 Located in Central District, this romantic hotel is within a 10-minute walk of Plaza Pelangi and KSL City Mall. Johor Bahru City Square and Komtar JBCC are also within 3 mi (5 km). A restaurant, an outdoor pool, and 3 bars/lounges are available at this smoke-free hotel. Free WiFi in public areas and free self parking are also provided. Additionally, a fitness center, a coffee shop/café, and a spa tub are onsite. All 357 rooms provide conveniences like refrigerators and coffee makers, plus free WiFi and LCD TVs with satellite channels. Other amenities available to guests include 24-hour room service, free newspapers, and free bottled water. In addition to an outdoor pool, Grand Paragon Hotel Johor Bahru provides a spa tub, a sauna, and a fitness center. The hotel offers a restaurant and a coffee shop/café. Guests can unwind with a drink at one of the hotel's 3 bars/lounges. Public areas are equipped with complimentary wireless Internet access. This business-friendly hotel also offers spa services, tour/ticket assistance, and concierge services. Onsite self parking is complimentary. Kishin-Tei - This restaurant specializes in Japanese cuisine and serves lunch and dinner. Cafe Para Para - Onsite café. Open 24 hours. Start your morning with a continental breakfast, available each day from 6:30 AM to 10:30 AM for a surcharge. Room service is available around the clock.